The project consists of four buildings new buildings and two existing buildings which combine to form a large central courtyard and a series of smaller courtyards. 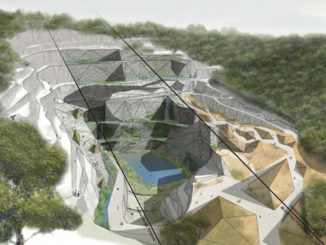 The overall layout demonstrates China’s traditional culture through a strong integration of architecture and site design. The building forms and proportions reflect traditional architectural characteristics and symbols with contemporary colors and sustainable materials. The resulting combination fully embodies the characteristics of internationalization.